'Sheik Jamil' RC (John Tearington, R. 1975). Seedling P-604. AR, 20” (51 cm). Midseason bloom. Standards brownish shade of maroon with darker veining; Falls slightly darker shade of maroon, darker veining; beard violet base, cream center, tipped bronze. I. stolonifera x 'Persian Pansy'. 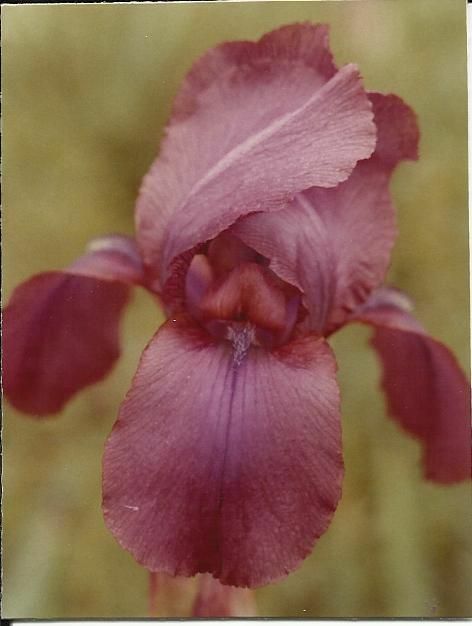 Sierra Vista Iris Gardens, 1976.